SAN JOSE, CA -- The glass eye of recently deceased actor Peter Falk, who died at his home at age 83 in Beverly Hills on the night of Thursday, June 23, has recently been l isted on the online auction site ebay.com. 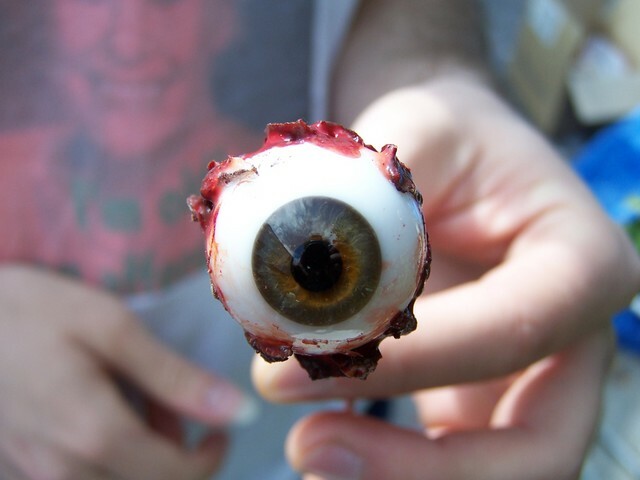 With a minimum bid of $50,000 and a "Buy It Now" price of $2.5 million, it is not known how the seller of the eye, "PFALKFAN," managed to gain possession of the medical device. Falk received the glass eye at age 3, when the original eye was removed due to a cancerous tumor. 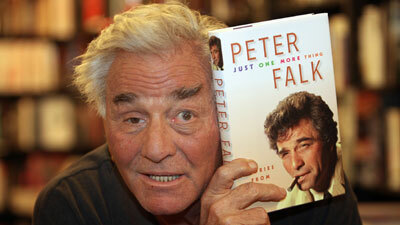 Yet it was the combination of his unique squint resulting from this prosthesis and a slight speech impediment which made his most famous character, Frank Columbo, one of the most beloved on NBC's line-up during the 1970s and, with less frequency, on ABC from 1989 through 2003. According to Larry Lawson, a longtime friend of Falk's and his personal attorney, the family does not support the selling of the eye, and suspects that an employee at the mortuary they used, Bel Air's Beauty Rest Funeral Home & Spa, surreptitiously removed the stolen eye during the embalming process. "They knew what they were doing," said Lawson, "because even with an open-casket viewing, it's not like they're going to prop his eyes open so we would even know one was gone. Frankly, it's unconscionable." According to ebay's Matthew Ambrose, however, the listing of the eye has not violated the company's Terms of Service. "I grew up watching re-runs -- endless reruns -- of Columbo at my Nana's house almost every summer of my childhood, so I'm just as upset as anyone else by this tacky item," said Ambrose, "but I can't find anything in our guidelines which prevents it from being listed." Added ebay's Chief Security Officer David Collonate, "Our user 'PFALKFAN1' is a member with excellent standing, boasting a positive feedback rate of 98.7%. If the Falk family can prove that the eye in question was stolen from the body, then we welcome reviewing the evidence and making a decision for delisting at that time." Should the eye sell at the suggested retail price of $2.5 million, ebay would collect over $31,000 in fees and commissions.